Venture capital (VC) fund Pride Capital has partnered with accelerator Startupbootcamp to help grow 40 Egyptian fintech startups over the next four years through the Startupbootcamp-Pride Fintech Cairo programme. The six-month programme — which Pride Capital and Startupbootcamp claim is the first fintech accelerator in the country — aims to provide Egyptian fintechs with industry expertise, exposure and exclusive access to a network of mentors and experts. In a joint statement last week, Pride Capital and Startupbootcamp said they would be collaborating with the International Finance Corporation (IFC), Pharos Holding, AlexBank, the German Agency for International Cooperation and Sustainable Development (GIZ), Visa, Ayady, Sanad’s Entrepreneurship Academy, and the Export Development Bank of Egypt (EBE). Pride Capital and Startupbootcamp said 11 fintech startups are currently enrolled in the programme. A post published on the programme’s site on 17 January suggests that 10 startups were selected during a Selection Day held in the same month, with the startups having been selected from 20 shortlisted startups that were chosen from a pool of over 100 applications. Startupbootcamp director Ahmed Elsherif (pictured above, far left) told Ventureburn today (9 April) the cohort had kicked off on 4 February. The accelerator, in the same post, said it would provide each of the startups with 450 000 Egyptian Pound ($26 000) in funding for either 8%, 11% and 15% as well as six months of office space at the Greek Campus. In their earlier statement, Pride Capital and Startupbootcamp said the seed funding would be fully-funded by Pharos Holding. Startupbootcamp-Pride Fintech Cairo startups, the statement said, will also go through a three-month proof-of-concept phase to scale their products in collaboration with the programme’s partners. On Sunday (7 April), the IFC launched a programme which will see it assist the Startupbootcamp-Pride Fintech Cairo programme and the AUC Venture Lab improve their offering to startups around mentorship, business development and technical training in a bid to help startups attract funding from investors. 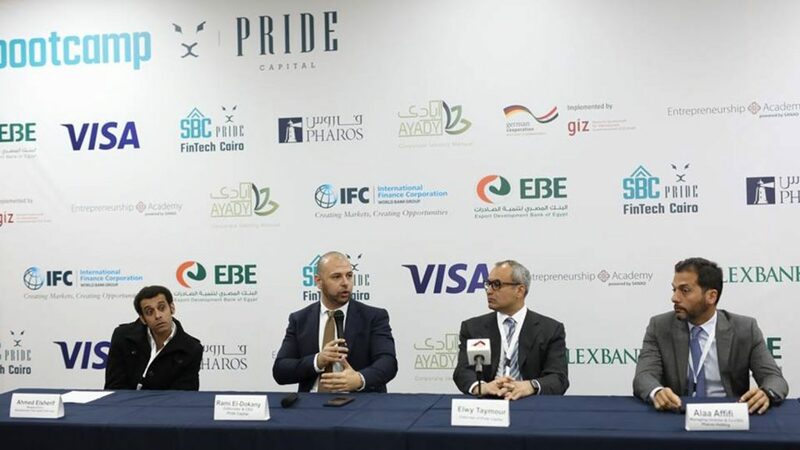 Pride Capital CEO Rami El Dokany (pictured above, second from left), commenting in a statement on Sunday (7 April) announcing the launch of the programme, said the newly established partnership between the IFC and the Startupbootcamp Pride Fintech Cairo Programme is creating a “top-notch” pipeline of startups. “It is giving entrepreneurs access to unparalleled expertise and a network of industry professionals. Our work has helped drive innovation in areas like microfinance, payments, person-to-person lending, consumer banking, and identity authentication, demonstrating the impact that can be achieved by supporting Egyptian entrepreneurs,” added El Dokany. IFC country manager for Egypt Walid Labadi said with the right support, entrepreneurs can create much-needed jobs and develop technology that makes life better for people across the country. “This programme will help unlock the potential of young entrepreneurs and lay the foundation for an ecosystem that supports innovation in the financial services industry,” added Labadi. IFC’s programme, the organisation pointed out, will complement the World Bank Group’s ongoing efforts to enhance and improve the enabling environment for digital finance to support the growth of Egyptian fintech startups. The initiative is supported by German development bank (KfW), Norway’s Ministry of Foreign Affairs, and the Netherlands’ Ministry for Foreign Trade and Development Co-operation. Last month, the Daily News Egypt quoted Central Bank of Egypt (CBE) sub governor for payment systems and information technology Ayman Hussein as saying that the CBE aims to transform Egypt into a regional centre for electronic financial services. The CBE, the article stated, has identified the establishment of a 1-billion Egyptian Pound ($57.7-million) innovation support fund for emerging fintech startups as part of several initiatives to meet this goal. Other measures the CBE is taking include the establishment of an Innovative Financial Technology Applications Lab and a Financial Technology Unit. 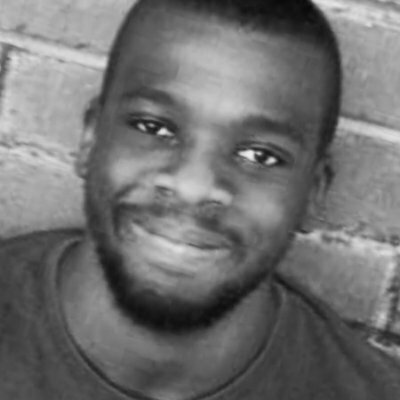 Ventureburn sought comment from the CBE last month on details around its fintech innovation fund and the fintech applications lab, but did not receive any response from the organisation. 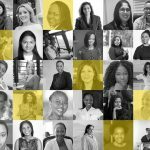 Editor’s note (10 April 2019): The article has been updated to include details on the equity stake the programme will take in participating startups, as well as when the cohort kicked off.